Workers blockaded a MarcPol supermarket on Friday to demand payments. 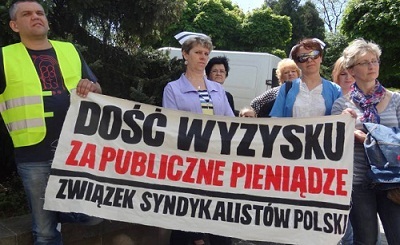 Although the supermarket chain supposedly is bankrupt and owes hundreds of workers back pay, it is functioning as usual in several Warsaw locations. Current employees, both at the markets and central office have various concerns, as do workers from the markets closed down, who were left without any salary. The action occurred on Friday late afternoon, which is the busiest time for the supermarket. Workers told about the fact that they have had difficult working conditions for years, often asked to work overtime and late on days like New Year's Eve. The low pay in such jobs means that nobody has any big savings and can afford to be a few months without a salary. The workers say that if they don't see a resolution by the end of the month, they are going to escalate their actions. At the end of March 2016, ZSP Wroclaw started actions at a vegan restaurant in that city. 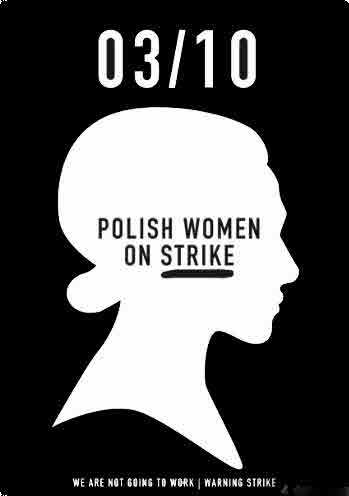 Workers alarmed that there were numerous violations of workers rights: working with no contracts, working on falsified contracts, unpaid overtime, lack of Social Security payments and numerous health and safety violations. The union approached the owner of the restaurant, who was known as a member of the "alternative scene" about these problems, but he instead acted very arrogantly and agressively. So the union started to publicize these problems and picket the restaurant. The owner harrassed the protestors, taking films of them, etc. A list of problems and demands were published. The campaign lasted over one month, causing a lot of discussion amongst clients. Then in June, the Labour lnspectorate checked the conditions there and confirmed all of the accusations made by workers and former workers. They issued various orders and recommendations to the owner concerning hiring people on legal contracts, keeping records of working hours, paying Social Security and fixing the health and safety conditions. With these findings, any present or former workers can demand everything owed to them and the establishment of a labour relationship. 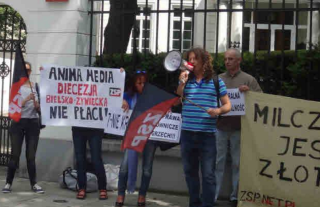 ZSP has been protesting at Anima Media and representative offices of the church over the practices of the media firm. The Media firm hired our colleague through the unemployment office and then offered her a contract. However, it decided not to make any Social Security payments. Salary payments also started to come late or not at all. The company was run a priest who previously had been accused of syphoning money from the John Paul ll Museum to this business. The business partner of the publishing house and film studio is the Bielsko-Zywiec Diocese. After protests at Anima Media, the union went to the Diocese where they were deemed correct and promised that the payments would be regulated. However, the representative of the Diocese did not keep his word. The union has made a number of actions in this case. First, it has set up an online protest form and has been informing of the situation. Besides the aforementioned protests, there have been some banners and posters hung on or around churches and there have been a couple of actions at church representative offices. Most recently, a banner was hung and leaflets distributed at the World Youth Day events in Krakow.